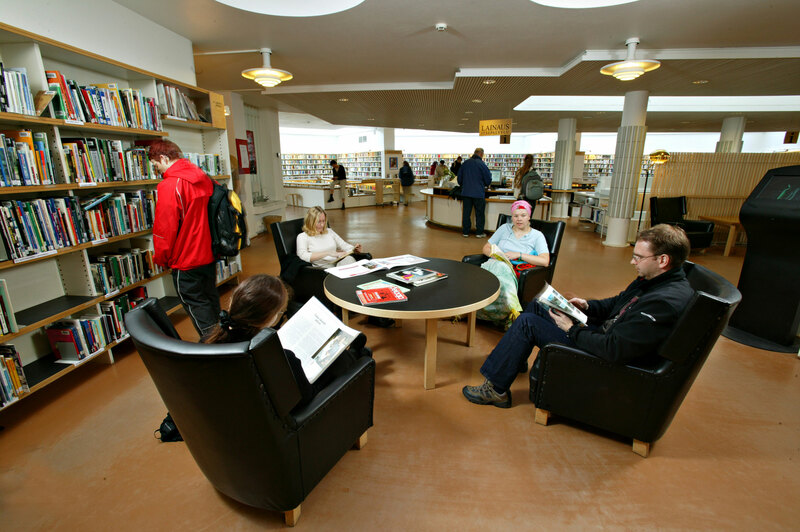 The principle of free design is one of Aalto's trademarks and the predominant theme of his library design is social equality. 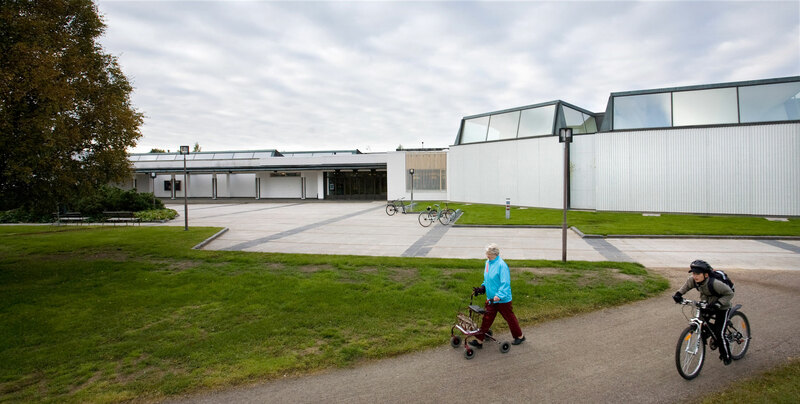 Aalto designed his libraries as low-lying, people-sized buildings with unadorned entrances. 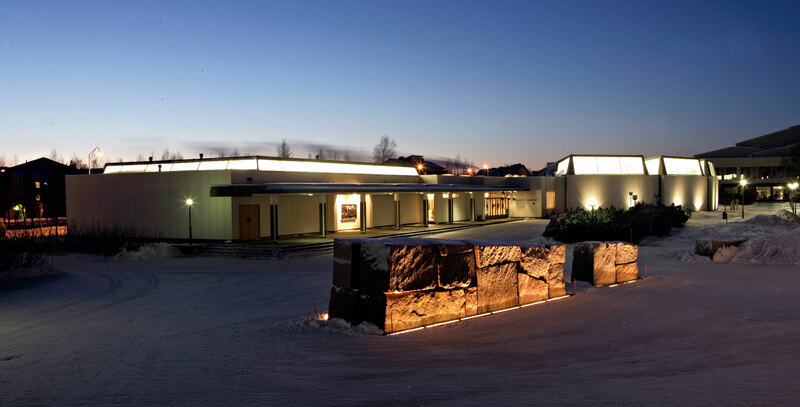 The ancient amphitheatre theme of the Rovaniemi Library is metaphorically transformed into a fanlike open book. 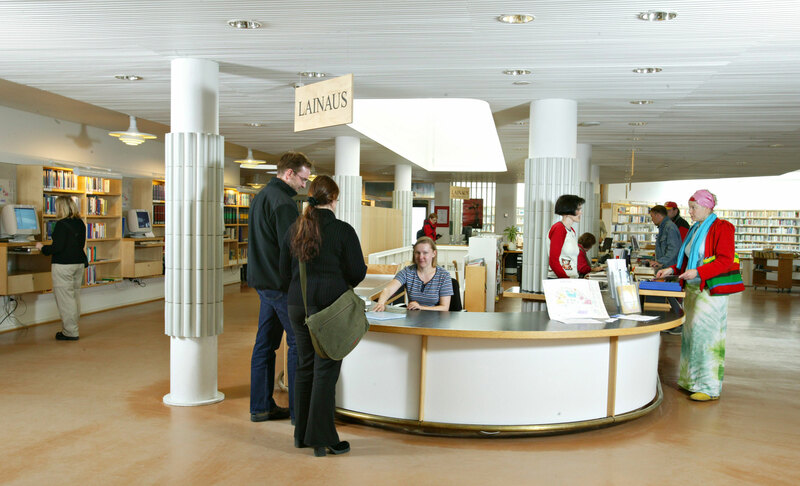 In the libraries designed by Aalto the lending department is divided into two levels. 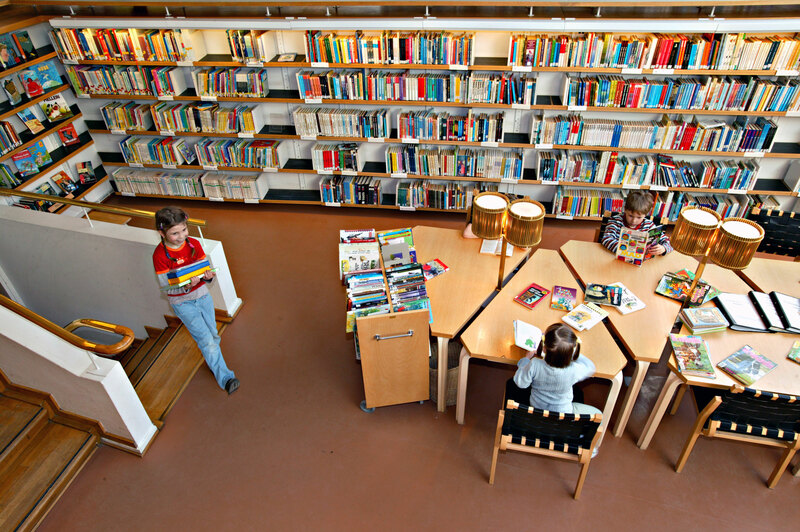 The reading bays offer peaceful places for study with natural light from the skylights. 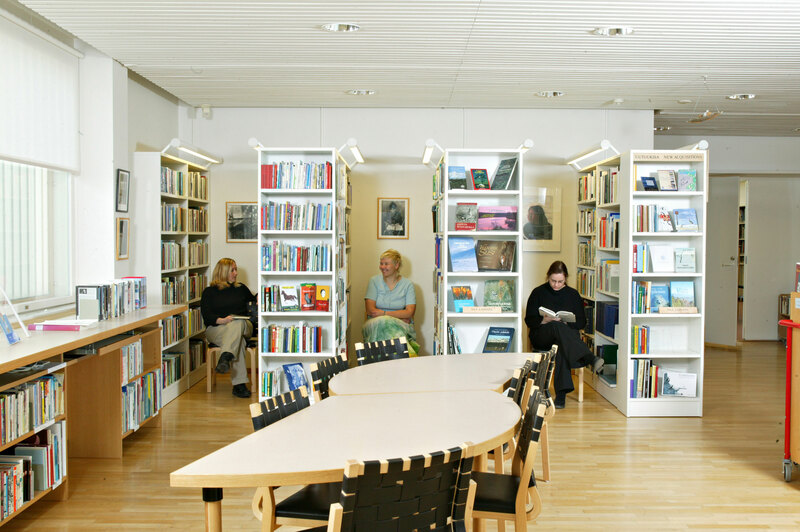 The common service desk in located on the upper level. 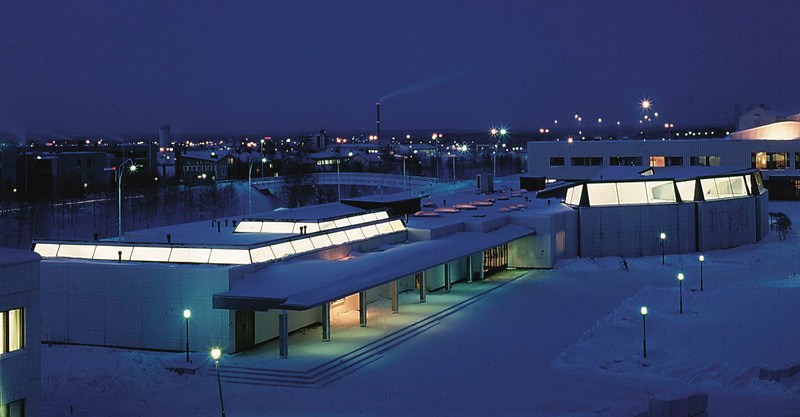 From the outside, the skylights resemble blocks of ice. Inside they join the lowered ceiling with an elegant arch that reflects the natural light. The indirect light is gentle and does not produce shadows.